Wits Language School was established in 1997 and is part of the Faculty of Humanities at the University of the Witwatersrand in Johannesburg. The school offers a wide range of language courses and services, namely: African, Asian & European languages, English as a foreign language, English as a second language, English communication for professional development, language teacher education and translation & interpreting services and courses. Due to the demand from public and private organizations, the Wits Language School also offers in-house corporate language courses which are designed around an organization’s specific needs. We also provide language policy advising to organizations. Wits Language School takes pride in the quality of its highly-qualified personnel, excellent service and the high standard of its language courses that are based on sound research and academic principles. All language courses are taught by mother-tongue speakers. 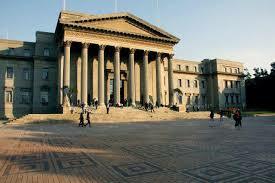 Wits University is one of the leading universities in the country and on the Afican continent. The prestige and reputation associated with Wits transcend across all its Faculties and departments. 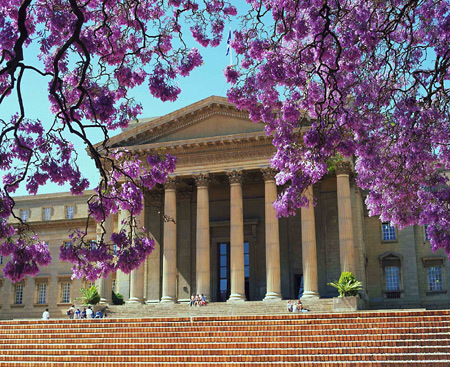 As part of the University, Wits Language School adheres to the proud tradition of academic excellence. Not only are we committed to quality and excellent service we encourage our learners to aspire to greatness and to draw inspiration from their teachers and fellow students. Our courses and services are maintained through quality assurance procedures and all courses are aligned with the National Qualifications Framework. The teaching methods we employ are based on sound research and are designed to facilitate the learning process. All languages are taught by mother-tongue speakers who are highly skilled and qualified. Lastly, our new premises provide a solid foundation from which to deliver our offerings and operate at a level that makes a significant difference to our clients. Our state-of-the-art facilities foster a dynamic learning environment that enables learners to thrive and learn effectively. We respond to and meet the demands of the market through innovative, interactive, customized, and research-based methods. Express yourself in a new language! Wits Language School offers you a wide selection of part-time short courses in African, Asian and European languages. Our courses are designed for adults and focus on the language used in everyday conversation. NOTE: *Courses offered through private tuition only or subject to demand. Learn to speak English in South Africa! Your success in the academic and business worlds, both internationally and in South Africa, is largely dependent on your degree of proficiency in English. The Wits Language School (WLS) course in English as a Foreign Language (EFL) will develop your reading, writing, listening and speaking skills to the level of proficiency required for further academic studies, or entry into the business environment. Learn to speak English fluently and to interact with confidence in all social contexts. The course is divided into six levels of English proficiency, namely beginner, elementary, pre-intermediate, intermediate, upper intermediate and advanced. Working in the global market means having globally literate staff. As companies develop their local and overseas markets, they need to ensure that their staff is capable of meeting the challenges of conducting business. While our corporate training focuses on individuals, our aim is to develop the overall capacity of the corporate world’s number one asset – its staff. By targeting individual skill deficiencies, upskilling new graduates and reskilling existing staff, we can help you to address the future needs of your business and stay ahead of the pack. The Wits Language School program is designed to meet the needs of participants who wish to learn South African Sign Language, a visual language that is unlike spoken languages. We provide a dynamic, fun learning environment in which to improve your skills with experienced and competent Deaf trainers. South African Sign Language (SASL) is used by approximately 2 million Deaf, hard of hearing and hearing South Africans. It is a unique and real language recognized as a first language by many members of the Deaf Community in South Africa. The idea of teaching English to speakers of other languages attracts a variety of people from all corners of the English- speaking world, from university students taking a gap year to long-term travelers to those who have decided to change their careers (and their lifestyles) and those who have retired. Teaching English overseas is an unforgettable experience that will give you the rare opportunity to immerse yourself in a foreign culture and to learn about a country and its people while traveling and earning money. There are also many exciting opportunities to teach English as a second or foreign language in South Africa. Make Your Language Work For You! Translation has an impact on virtually every aspect of society, politics, and economics, but how much of what you know about translation is really true? You might be surprised to learn that translation is a highly diverse and complex market - and one that's bigger than you might think. Change a life with your language! The Diploma in Legal Interpreting, which is accredited by SASSETA, is aimed at upgrading language practitioners’ skills in interpreting and thereby improving their career prospects. Aspiring and professional court interpreters.